Maria Teresa Moreno's wedding dress worn 85 years later by great-granddaughter. Four women in one California family have walked down the aisle in the same wedding gown handmade by the family’s matriarch in 1932. 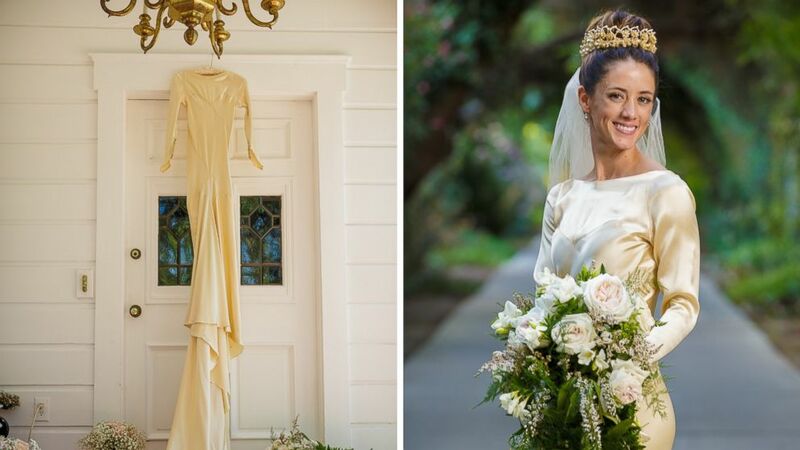 Pilar O’Hara Kassouf, 27, was the most recent woman in her family to wear the dress made by her great-grandmother when she wed Nick Kassouf in September in Orange, California. (Michael Jonathan Studio) Pilar O'Hara Kassouf and Nick Kassouf walk down the aisle on their Sept. 23, 2017, wedding day. O’Hara Kassouf’s great-grandmother, Maria Teresa Moreno, was a mother of four who learned how to sew before she came to the United States from Mexico as a young woman. Moreno, who was known as “Grande” to her family, sewed her own wedding dress for her 1932 wedding to Manuel Moreno in Los Angeles. 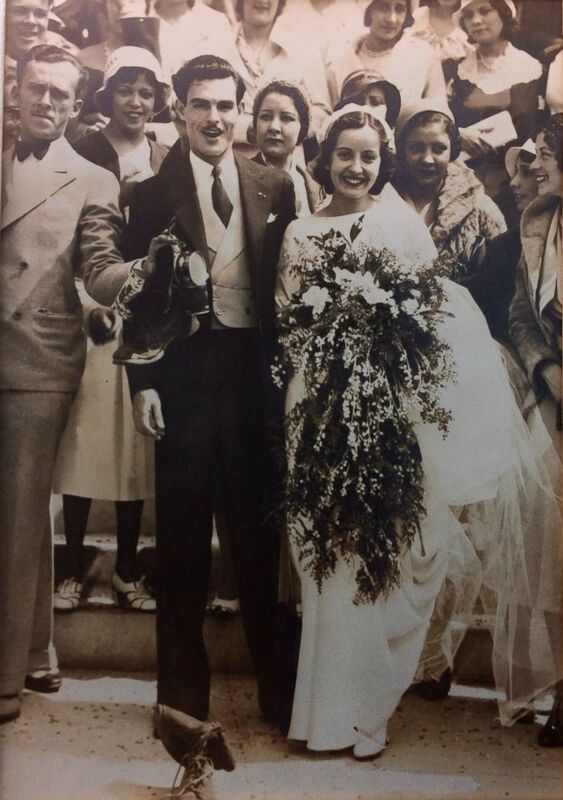 (Courtesy Marta Prietto O'Hara) Maria Teresa Moreno and Manuel Moreno pose at their 1932 wedding in Los Angeles. “She was a very frugal woman who worked hard,” said Marta Prietto O’Hara, Moreno’s granddaughter and O’Hara Kassouf’s mother. 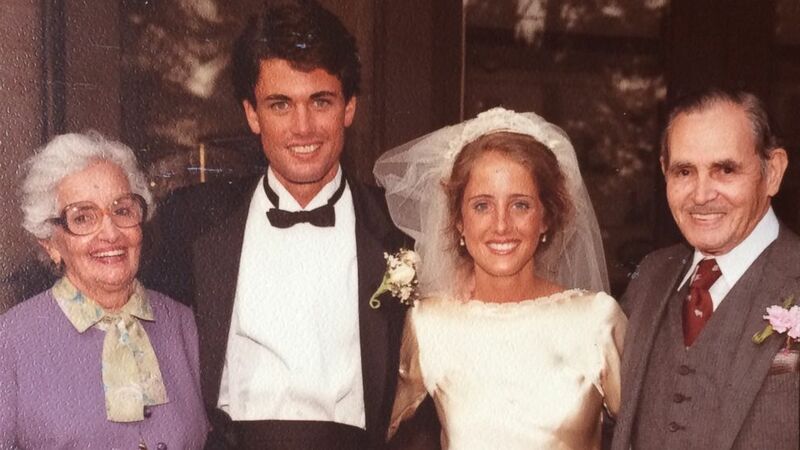 When O’Hara got married in 1983, she wore her grandmother’s wedding gown. 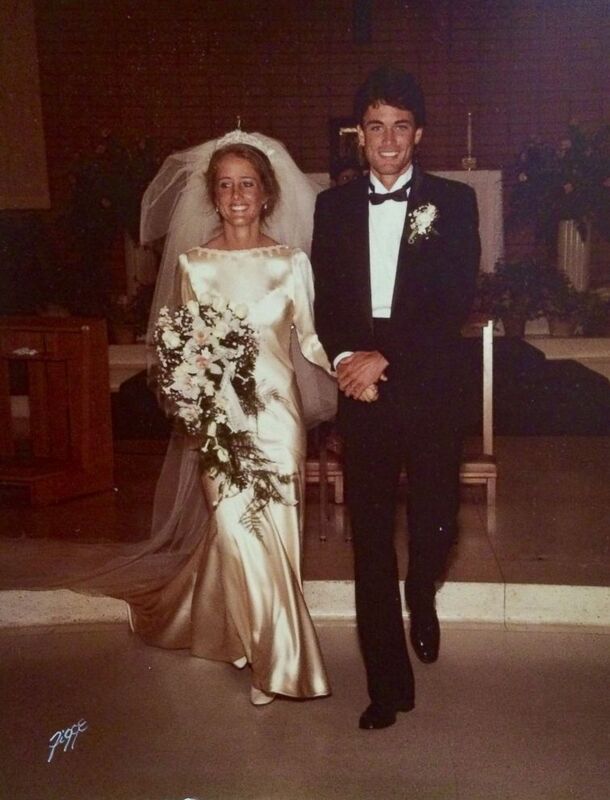 (Figge Photography via Marta Prietto O'Hara) Marta Prietto O'Hara and Kevin O'Hara smile on their wedding day in 1983. O’Hara’s mom, who wore a dress made by Moreno at her wedding, and grandmother updated the dress by cutting a “V” in the back and adding lace trim and beading around the neckline. (Figge Photography via Marta Prietto O'Hara) Maria Teresa Moreno and Manuel Moreno pose with Marta and Kevin O'Hara on their wedding day in 1983. They also trimmed off some of the dress’s original nine-foot train. When O’Hara tried the dress on before her wedding, one of her sisters, Elena Salinas, was close by watching. 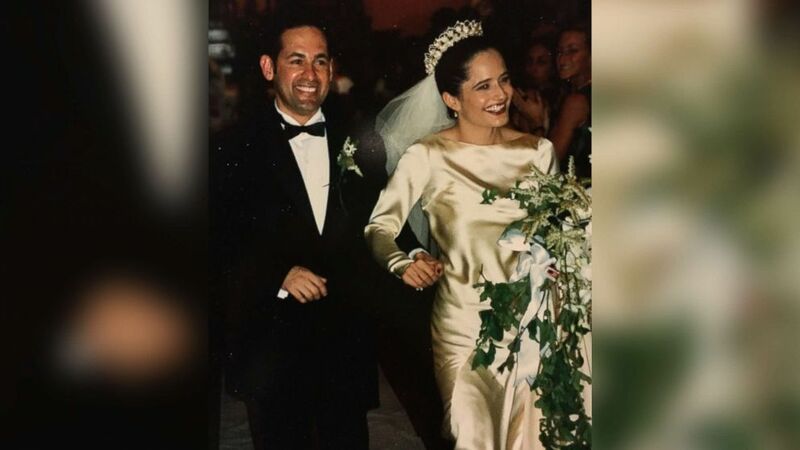 When Salinas tied the knot in 1997, she became the third family member to wear her grandmother’s dress down the aisle. (Courtesy Marta Prietto O'Hara) Elena Salinas and Ric Salinas walk down the aisle on their wedding day in 1997. O’Hara Kassouf wore the same tiara that Salinas wore at her wedding. She also continued a family tradition by becoming the sixth woman in the family to wear Moreno’s earrings at her wedding. (Michael Jonathan Studio) Pilar O'Hara Kassouf poses in her great-grandmother's wedding gown on her Sept. 23, 2017, wedding day. In addition to the dress worn by O’Hara Kassouf, O’Hara and Salinas, Moreno made wedding gowns for nearly every family member before she died in 2008 at age 98. 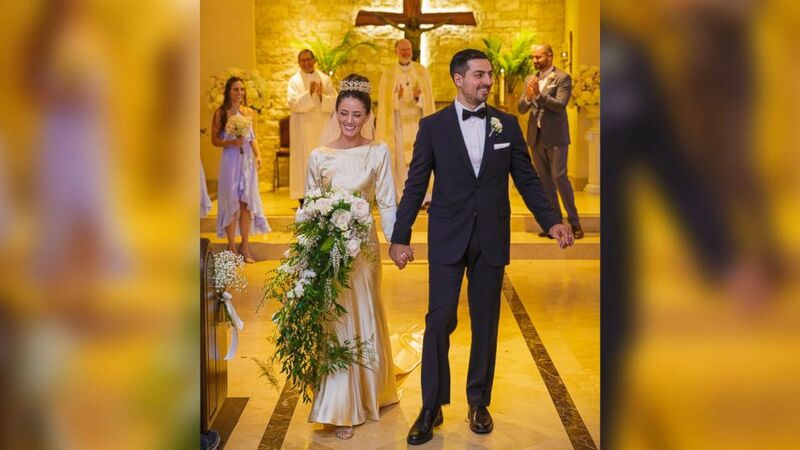 O'Hara Kassouf said she felt Moreno's presence on her wedding day while wearing her gown. 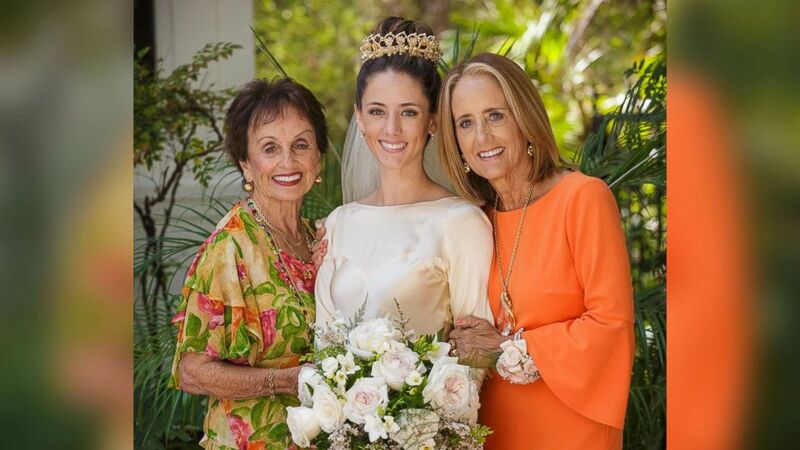 (Michael Jonathan Studio) Pilar O'Hara Kassouf poses with her mother and grandmother on her September 2017 wedding day. "You can just feel that she was there with us," she said. "I just know she’s looking down on this and beaming, probably laughing a little bit too that we’re getting all this attention." O'Hara Kassouf has two sisters in their 20s who could be the next to wear the gown. Salinas said her two teenage daughters have also said they want to wear their great-great-grandmother's gown at their own future weddings.